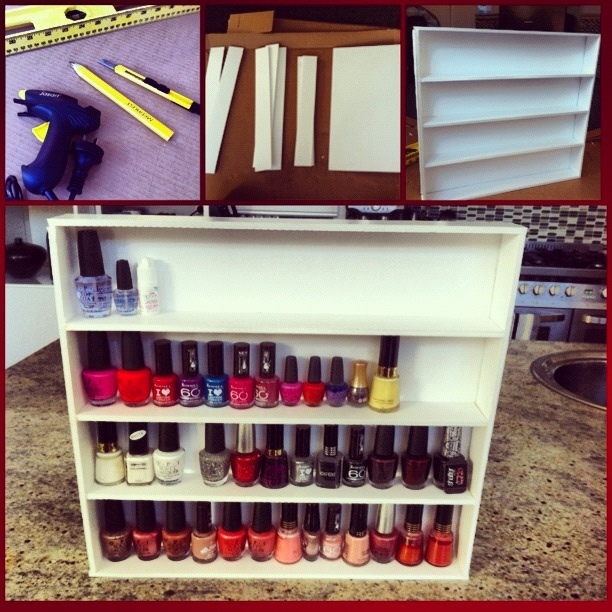 DIY – nail polish holder! Anyway, being trapped at home has made me go a bit loopy so I thought I would put all my spare time to good use. 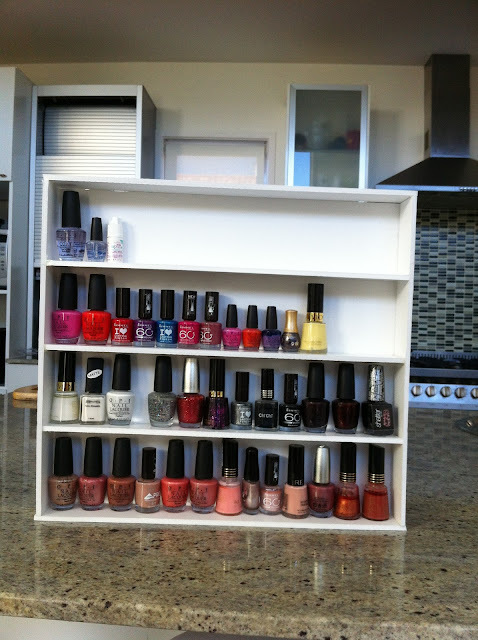 May I present to you ( in a great flourish) my DIY nail polish holder!! You can make the holder any size you wish however below are the measurements on how to make the same size as the one I made below. glue the top and bottom on to complete! !